When you think 1911…you think big .45 ACP. The .45 ACP incorporated a 230-grain bullet at about 850 feet per second in a semi-automatic platform and proved to be a very reliable and robust fighting handgun. So what if we take the original 1911 and build a pistol around the 9mm round? Then we have the simple reliability of the 1911 in a very easy to shoot cartridge with a very good record as a defensive round. First up on our list is the compact Defender, a prime example of a compact 1911 in 9mm. 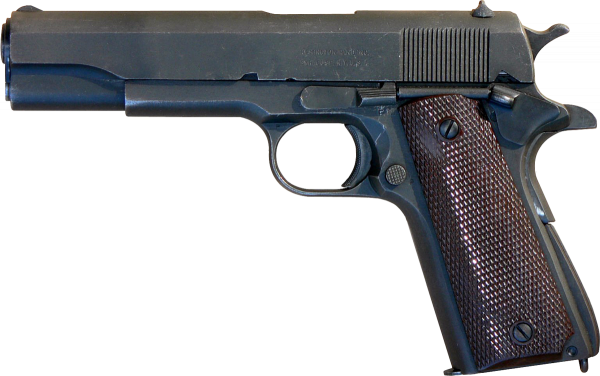 Here we have a ready-to-carry handgun in a classic Colt package. A 3” barrel, housed in a slide with genuine Novak Night Sights, and an 8-round magazine make this gun easy to reach for when heading out the door. With a beavertail grip safety and left-side thumb safety, anyone who has any trigger time with a 1911 will be right at home with this fine pistol in their hands. You’re paying a bit more than for a plastic-fantastic… but you’re getting a Colt! The Colt Combat Commander is a full-size, 4.25” barreled Colt pistol. If you want a carry gun that you can be proud of, you need to check out this gun. Just a few notable features include beautiful dark bluing, checkered black cherry grips, Novak sights, and 9-round single stack magazines. For those with a full-size 1911 in 45 ACP, this is the perfect companion. You get to shoot ammo that’s a bit cheaper, and it’s easy on the hands as far as recoil because this is an all-steel gun coming in at 33oz, unloaded. Usually when you think Desert Eagle you think big, like autoloading pistols in .44 Magnum, .357 Magnum, and .50 Action Express. It’s true, Magnum Research is famous for its big revolvers and big semi-autos, but they really should be famous for their quality, and the Desert Eagle 1911 Series is no exception. The 1911 series is available in 3 different barrel lengths; C series are 4.33”, G series are 5.01”, and the U series are very compact 3” barreled pistols. The 1911 series guns all ship with 2 magazines. The compact U series have 8-rounders, the C and G series feature 9-round mags. Features like a high ride beavertail grip safety, extended magazine release, extended thumb safety, and full-length stainless guide rod make these guns ready to carry or compete with right out of the box. The bigger guns are all steel, while the 3” models have an aluminum frame. 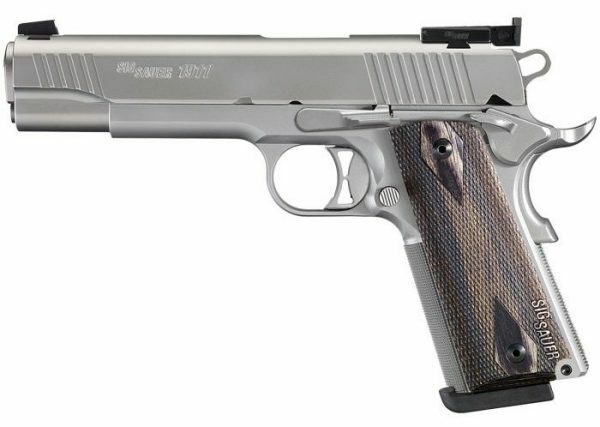 Kimber America makes more 1911’s than any other company in America. There are 19 different variations of 9mms alone to choose from. Personally, I like the Pro Carry II. It’s got a 4” barrel, so it’s a ‘Commander’ size gun and easy to conceal. The frame is aluminum, while the slide is steel and features low profile fixed sights. The two-tone color scheme is classy looking, and the rosewood grips finish out the good looks. There is a full-length guide rod to keep things running smoothly, and, at 28 oz., there is enough weight to keep the recoil at a minimum and keep you shooting all day long. The Pro Carry magazines hold 9 rounds, so with one in the pipe you have 10 total rounds at your disposal. What’s your take on the Kimber 9mm line? Springfield Armory has been building 1911’s since 1985 and currently has 11 offerings in 9mm. The Range Officer Series has just about everything one could want in a solid performing 1911 handgun. It has classic good looks, with a matte anodized aluminum frame and Parkerized steel slide that houses a 4” barrel and full-length guide rod. Up top, the Range Officer has a fiber optic front sight with a low-profile combat rear sight to get you quickly and easily on target. The grips feature the Springfield Crossed Canon™ logo and diamond checkering in rosewood. If you haven’t picked up on it, I’m a sucker for nice wood and dark, blued steel guns. Each Range Officer ships with 2 8-round magazines. Ruger entered the market 1911 in 2011, the 100th anniversary of the 1911 with their SR1911 series of guns. Like everything Ruger does, these guns are robust, built in the US, and worth a close look if you want to add a 1911 to your collection. Most Rugers are heavy, and this 9mm is no exception at 29.3 oz. The frame is gray anodized aluminum and the slide is stainless with Novak 3-Dot sights. To enhance accuracy the stainless slide and 4.25” barrel are machined on the same tooling and from the same bar stock. Like many of the fine 1911’s today the Ruger has a beavertail grip safety and extended thumb safety. On many 1911’s the plunger tube for the thumb safety and the slide stop are staked to the frame., but on the Ruger, the plunger tube is integral to the frame and cannot become loose, damaged or bent. There is a visual port to provide confirmation of a loaded chamber as well. Magazine capacity is 9 rounds. This is a great, no frills pistol that will provide a lifetime of service and shooting fun. Taurus is headquartered in Florida and with a team of 300 on site, manufactures some of the many Taurus offerings in the US, with some being manufactured and imported from Brazil. The Taurus brand is synonymous with quality and the lifetime repair warranty the company provides is ready proof that they believe in the products they produce. Taurus currently has two 1911 9mm’s in the catalog. Both are full-size, 5-inch barrel models. One is all blued, the other all stainless finish. Both feature Novak sights, black grips, and 9-round magazines. In addition to the beavertail grip safety, the Taurus also has an ambidextrous thumb safety. The inclusion of the safety makes a transition to weak hand shooting or those that are lefties much easier. Definitely worth a look as you search for your perfect 1911 9mm. Of course this is just a sampling to whet your appetite for a new 1911 in 9mm. Are these the best 9mm 1911’s? With so many great guns on the market these days, it’s hard to say, but I believe they all represent fine quality, reliability, accuracy and availability. None are custom, but all include many features on pistols built by the finest custom shops. They are all reliable, accurate and have the classic good looks that 1911’s should have. Of course, you may prefer a different 9mm 1911 (and if you do, tell us in the comments! ), but these are all great options, and regardless of your decision, you can’t go wrong having a genuine 1911 in you collection. After all, it’s one of those guns every gun nut needs. Just bought a Springfield Armory EMP4. I’m really liking it – slightly smaller all the way around and holds 9+1. The Carry Contour model has a clipped mainspring housing that makes it comfortable to hold and helps a bit with concealment. Your lead photograph is not an M1911. It’s an M1911 A1. You should know the difference. Your seat belt is too tight.. Some of us may, not, so why not point out the difference(s) and educate everyone instead of trying to prop yourself up as some kind of expert and just drop a steaming troll turd? I have a Springfield 1911 RO Elite Champion 9mm and love it. It comes with an ambi safety, fiber optic sight, 4″ barrel and alloy frame weighing 29 oz.. You can get 10 round magazines that don’t stick out any further than 8 round .45’s. Very accurate and great handling. I had bought the EMP 4 CC Contour first, but the grip diameter is smaller than the 1911 which feels better in my hand. I gave it to my wife and she loves it better than the other 9’s that she has. I love all the comments and the real-world experience you guys have with 9mm 1911″s. As I stated, I don’t know if it’s even possible to say a given gun is the best. We are blessed with so many great guns today and the choices really are endless. It all comes down to what gun fits you, what features you are looking for, how you shoot it (if you have a chance to shoot some range guns), and your budget.